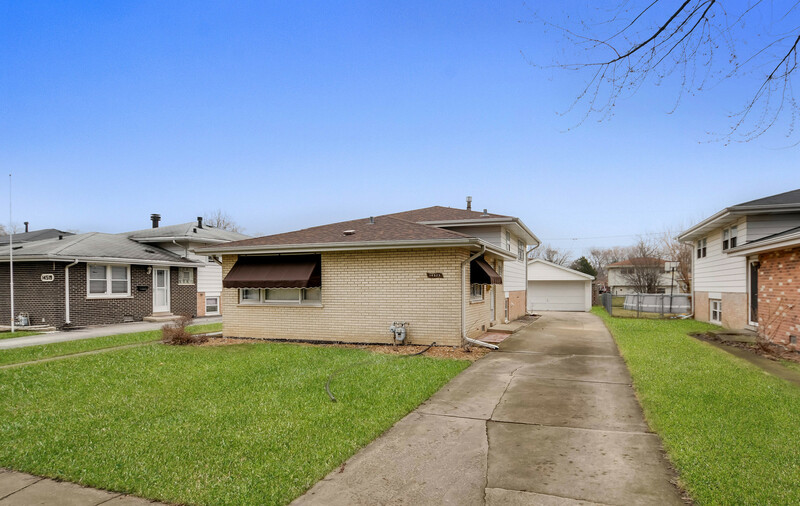 YOUR BUDGET SAYS COME TAKE A LOOK AT THIS WELL MAINTAINED (BY SAME FAMILY SINCE IT WAS BUILT) AFFORDABLE SPLIT LEVEL AWAITING YOUR PERSONAL TOUCHES/UPDATES TO MAKE IT YOUR OWN! IT&apos;S NOTABLE FEATURES INCLUDE NEWER FURNACE & CENTRAL AIR - 2012, NEWER ROOF ON THE HOUSE - 2018, (THE ROOF ON THE GARAGE IS ABOUT 15 YEARS OLD.) NEWER WATER HEATER - 2017. NEUTRAL RECENTLY PAINTED INTERIOR. BRIGHT EAT-IN KITCHEN. CONVENIENT 1 & 1/2 BATHROOMS. RELAXING LOWER LEVEL FAMILY ROOM. SIDE DRIVEWAY TO 2 CAR GARAGE. TERRIFIC LOCATION ON QUIET TREE LINED STREET JUST MINUTES FROM EVERYTHING! VALUE-PRICED SO DON&apos;T SNOOZE & SCHEDULE YOUR VIEWING TODAY!